With his victory at Pebble Beach, Jack Nicklaus matched his boyhood hero Bob Jones’ record of 13 victories in major championships. The Pebble Beach Golf Links has long been one of Jack Nicklaus’ favorite tests – and why not? After all, he won his second U.S. Amateur there in 1961 and coming into the 1972 U.S. Open, he had won two Bing Crosby National Pro-ams there as well. To this day, he says that if he had just one round of golf to play, it would likely be at Pebble. After opening the 1972 U.S. Open with a one-under-par 71, Nicklaus shared the lead with six other players. It was the highest score by a leader in the modern history of the open and reflected the demanding conditions. A second-round 73 tied him with five players and his 72 on Saturday left him alone atop the leader board. Paired with the defending champion Lee Trevino on Sunday, Nicklaus went double-bogey, bogey on nos. 10 and 12 but came to the 218-yard, par-3 17th with a three-stroke lead. With the Pacific Ocean to the left and a tricky bailout right, Nicklaus opted for a 1-iron. As he took the club back, he felt the clubface closing and the backswing working too much inside the target line. that spelled hook. but nicklaus described his tempo that week as ideal and he was able to adjust on the downswing and square up the clubface. The ball never left the pin. 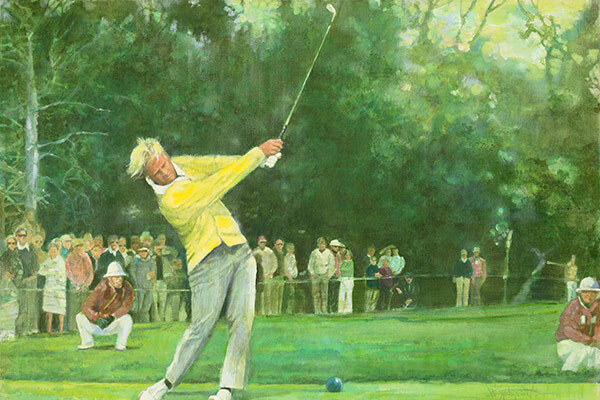 He didn’t see it hit, but the crowd’s reaction told Nicklaus it was close. The ball rattled the pin and finished just inches from the cup. Despite a bogey on 18, he won by three strokes and now held three of the four major championship trophies, including the PGA Championship, which had been played in February of 1971. So Nicklaus turned his attention to Muirfield and the British Open where, in the end, he would finish second to Trevino by a stroke.